We support over 100 families throughout New Zealand. Our kids come from every part of Aotearoa from Northland to Southland. The majority are aged between 3 and 10, which is the optimum time to be receiving frequent speech language therapy sessions. Once a child is taken off our wait list, we are committed to supporting them until they are 18 years old, even if they are only a baby when they apply - or maybe not even born yet! What the parents are saying! "Thanks once again for your amazing assistance! Anders is continuing to make good progress with his speech development. We are convinced this would not be occurring without his access to a private speech language therapist. We no longer have access to any publicly funded speech language therapy, so this assistance is very gratefully received." "Speech is our main concern with Yma. Speech means communicating, speech means social life. It means learning, education, and self-expression. Therefore, UpsideDowns' contribution is essential. With your help, Yma has access to regular speech therapy sessions which improve her speech. We are very grateful." "Lachie has a lot to say! He loves to talk about his favourite things - books, trains, and the beach. 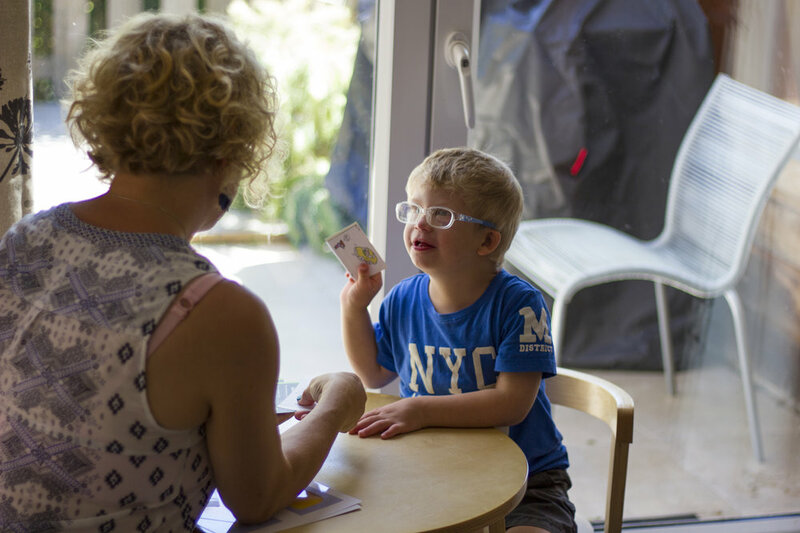 Speech language therapy has helped Lachie to learn a variety of communication tools - speech, signing, and visuals - to express himself. Thanks for the ongoing support UpsideDowns! It's fantastic that something like UpsideDowns exists, because we know that speech is one of the main things these children [with Down syndrome] need to be a part of society.